Broadcasting footage of musical acts to keep live music... alive. To offer weekly live performances and shows presented by Nagui and produced by Air Productions, and to provide access to an archive catalogue spanning 20 years (concerts, interviews, bonus footage, etc. ), giving fans an opportunity to react on social media during the show. To provide a forum for audience reactions during broadcast shows outside traditional media. The platform also needed to provide information and news about artists, to become a leading reference in the music industry. Nagui and Air Productions wanted to continue broadcasting live music to their audience of avid fans by moving the shows online, after 20 years broadcasting on public TV. But bringing their audience with them – an audience not necessarily familiar with new technologies – was something of a challenge. The user experience therefore needed to be as simple and seamless as possible. We designed a digital portal to give users direct access to the shows, divided into three "time zones": now (showing the current weekly show), yesterday (archives) and tomorrow (forthcoming music news). We created a responsive-design interface allowing users to access the service from different devices, at any time and from anywhere. Understanding the audience’s needs We needed to produce a simple and easy-to-use interface to ensure that everyone could share the experience. Delivering a fluid experience We created a horizontal timeline-style layout to represent the three “time zones”. - the "WATCH AGAIN” section on the left contains a catalogue of archived shows and bonus footage from the last 20 years, with footage organised by show and by artist. - the "TEASER” section on the right contains details of upcoming shows, listings and artist news. Delivering a multi-device experience We produced a responsive-design website, allowing users to access the content seamlessly from a tablet, mobile or PC. 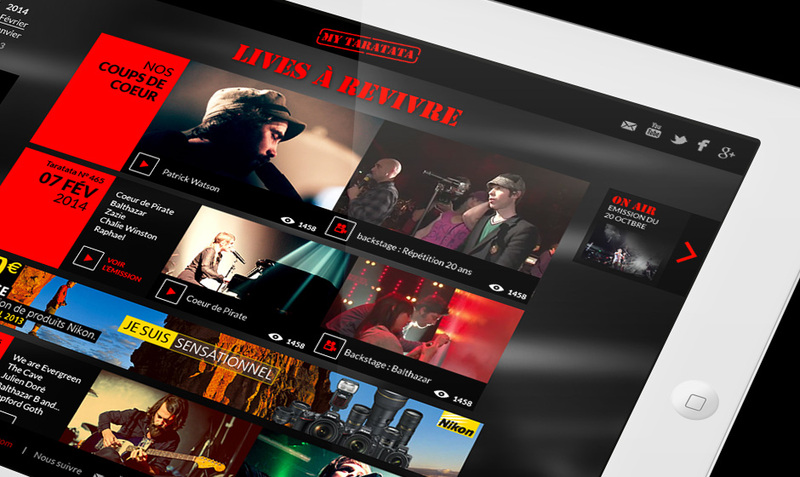 Creating a genuine live performance feel To make users feel like they’re enjoying a live concert, we used full-screen visuals and a black and red colour scheme. A portal that does much more than broadcast content, deliberately designed to be a leading reference in the world of music, with an active audience that helps keep it updated. 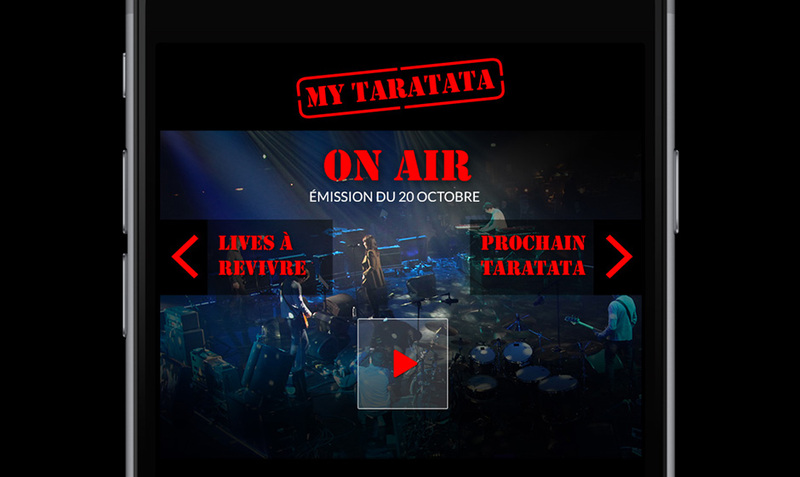 This new digital portal is something of real quality and will help drive the new Taratata's success. We’re absolutely delighted with Niji. They were the committed partner we needed. We developed a new mobile site and gave the client's apps (smartphone, tablet, Google Glass, etc.) a facelift. The result was a new way for fan communities to communicate, experience and share the latest sporting news. We provided our client, a press group, with consulting services to help identify digital opportunities and respond to new audience practices by meeting three objectives: reinventing its image, promoting its activities and securing the long-term future of its business. We developed Android and iOS apps, with an intuitive interface and quad play capabilities (live access to TV channels, Chromecast support, STB, recordings, VOD).